Midwest Coast IPA from Mother's Brewing Co. in Springfield, Missouri. 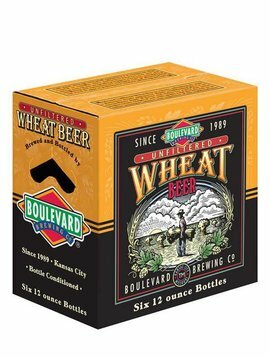 Citrus and tropical fruit flavors balanced by a subtle, malty sweetness. Available for pick up or to enjoy in the shop only. Scroll Down for more info. 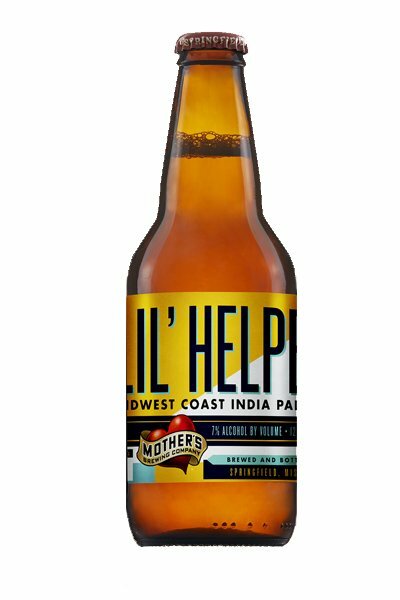 NOTES from Mother's: This IPA has a bright, citrus hop character and a clean, refreshing finish. 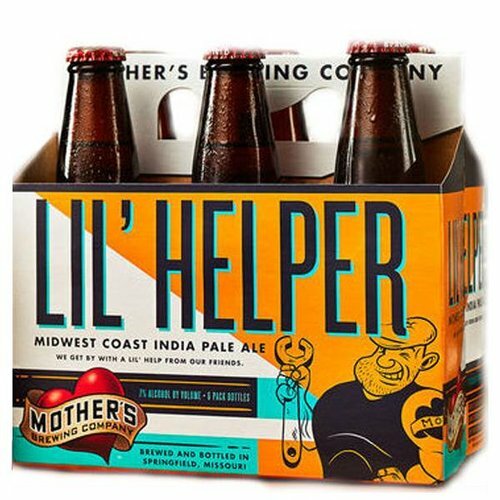 Lil’ Helper is a union of classic American hop varietals and a welcoming Midwestern malt backbone. Go running for its shelter. WHAT IS India Pale Ale?? An answer from Henry Jeffreys - a drinks writer based in London. So what is IPA? The initials stand for India pale ale. 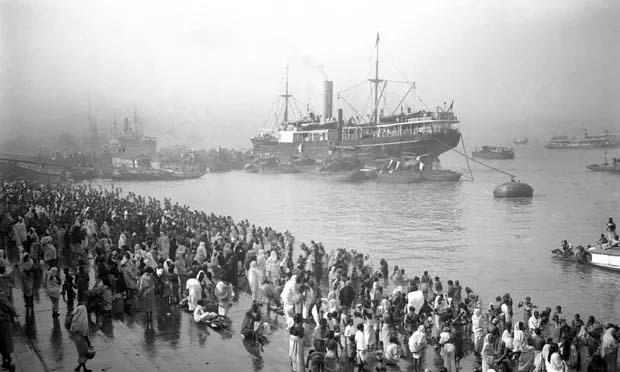 It was the answer to the problem of providing beer for the British Empire in the east. 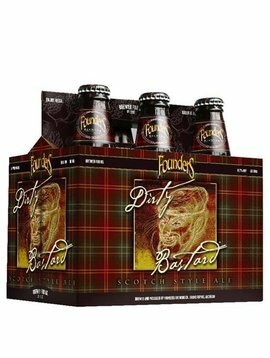 It was too hot to brew in India, so what was needed was a beer that could survive the gruelling six-month journey from Britain intact. In the 1780s, a London brewer called Hodgson answered the call by sending out a strong, heavily hopped beer called October ale that would normally be aged like wine before drinking. The beer not only survived the journey, but was found to have improved immeasurably. This was the prototype IPA; the beer gradually became paler and more refreshing to suit the Indian climate. Hodgson’s beer was imitated by bigger brewers, such as Bass. 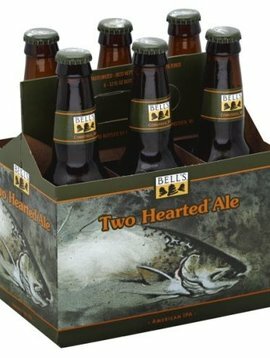 It evolved into something weaker, just plain old pale ale, for the home market. With the coming of refrigeration, proper IPA itself began to die out. Until that is the Americans rediscovered their love of brewing some time around 1976. The craft brewers in the States merrily set about recreating forgotten British styles – including IPA. Being American, they didn’t do things by halves. 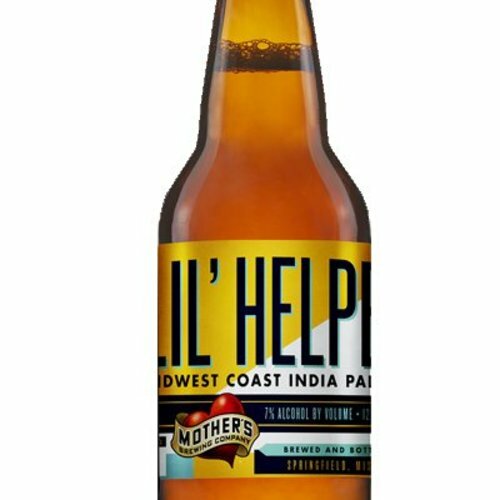 These new ales were packed with alcohol and hops. From America, IPA returned home across the Atlantic. 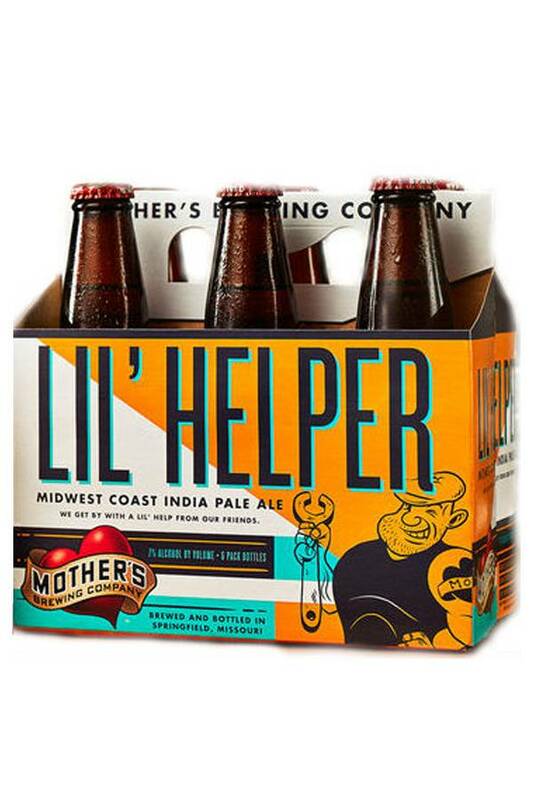 It’s been a funny old journey: a beer that was invented in Britain for the Indian market, was revived by Americans and then copied by brewers in Britain. A fine example of the reborn IPA is Jaipur by Thornbridge. 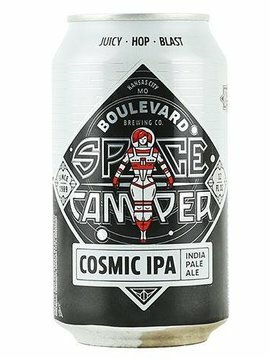 It positively zings with citric hoppiness, though I imagine it would taste even better after six months mellowing on a slow boat to India. More HERE.